We’d love your help. 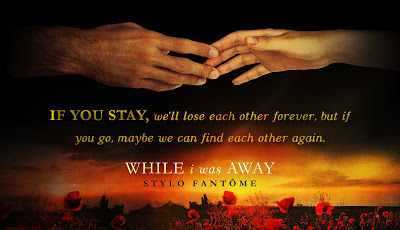 Let us know what’s wrong with this preview of While I Was Away by Stylo Fantome. And this unresponsive state You were in a car accident. 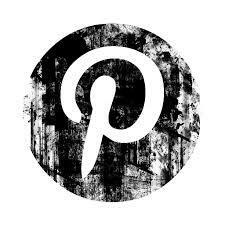 To ask other readers questions about While I Was Away, please sign up. I have ZERO idea where to start with this review. As of this moment this book sits on the top of my list for best book I have read so far this year. This story completely blew me away, and I teared up SO many times. I will leave this review somewhat vague because I think this story is best experienced without a lot of prior knowledge. Just trust me you'll want to read this book as soon as it is released. So onto the deets...this was an amazingly well-written book. A good portion of it had an almost surreal Alice In Wonderland feel to it I loved. It is a fairly long book, clocking in at around four hours of reading time. However, I never once found myself bored or needing to skim. It was told in multiple POVs, which was one of the things I think worked SO well. I loved getting an inside peak at the thoughts of Adele's brothers and her BFF. It added so much depth to the story and set the stage for the secondary romance that plays out in the book. There was no OW or OM drama. This wasn't a steamy read, and that didn't bother me in the least since that aspect fit with the overall plot. One of the standout things about this book were the secondary characters. Especially Adele's brothers (River, Ocean, and August). My heart broke reading their POVs. I also loved Adele's BFF and her ex Charlie, who was such a nice guy. Both Adele and Jones were fantastic main characters. The journey they took together was amazing, and heartbreaking. Last, it all wraps up in a very satisfying way. I hope we get to see more of these characters in the very near future. Whilst at a co-workers birthday party, Adele Reins and her long term boyfriend Charlie Kassen end their three year relationship amicably both realising how stagnant it had become. Driving home that very night they are in a car accident leaving her in comatose state in hospital, her family is beyond themselves, especially her brothers (River, Ocean, and August) who berate themselves that they didn’t make more time for their little sister. Not knowing if and what condition she will be in when and if she wakes up has brought her whole family back home and has made them re-evaluate their lives and which direction they are going in. While I was away flits faultlessly between fantasy and reality until they merge seamlessly into one. It's whilst Adele is in a coma that she's transported into another world that touches on her memories, going as far back as her childhood home, but it's also during this time where she makes a otherworldly connection, or so it seemed. She was stuck in purgatory with a man she'd never met before; a man whom she was pretty sure was her soulmate. This was one of my most highly anticipated reads of March so I beyond excited when this landed on my kindle. This was nothing like I expected it would be, mystically unique, it made me believe in soul mates, I was pulled into the story line as soon as I started, once I’d started it was easy to inhale. It’s been a long time since I’d read one of SF’s books, I missed her writing. This was really good! it wasn’t exactly what I had in mind but still, it surprised me and I enjoyed it! Loved all the characters and I liked that besides Jones & Adele’s story, there was a secondary one as well. I suggest you go in blind for this, the less you know the better! 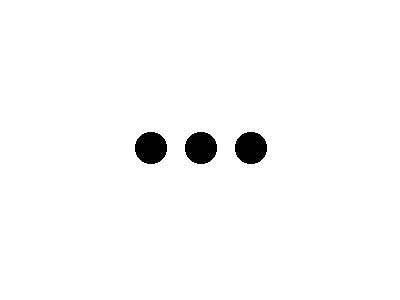 Told in multiple POV, 3rd person. It’s a standalone novel, well-paced with well-developed characters and beautifully well written. All in all, I had a good time reading this and hope you enjoy it as well! I love Stylo Fantome’s books especially Kane Trilogy, Best Laid Plains, Church are my favorites. She writes real deep, mind bending dark romances full of emotional turmoils ! This book is so different from her usual genre, softer, lighter, lyrical, written about life and death, our choices, looking for your soulmate to reach your eternal happiness. She brought out a good story. Some parts are so heartwarming like Adele’s ( our heroine who lives in limbo and finds her soulmate after her car crash) I love Stylo Fantome’s books especially Kane Trilogy, Best Laid Plains, Church are my favorites. 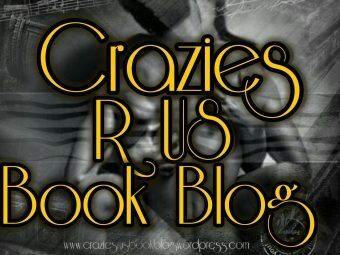 She writes real deep, mind bending dark romances full of emotional turmoils ! She brought out a good story. Some parts are so heartwarming like Adele’s ( our heroine who lives in limbo and finds her soulmate after her car crash)relationship with her brothers. I liked three of the brothers especially Ocean, who is her best friend and second father to her. But two things about this book made me cut points. Firstly, when I read a book, I like to read only one couple’s story. So I didn’t like to read Ocean’s love life when I was excited to know how Adele made her soulmate/ guardian angel believe in their togetherness. Second thing I didn’t like was final cliffhanger. It was unnecessary drama, heartbreak for me. In some ways this book is romantic version of Inception. Sometimes you got lost to understand which part is dream and which part is real but it’s really smartly written one and I liked! Adele Reins decided to make a major change in her life. Sad of letting go, but excited with new possibilities, she never thought a single blink could possibly change the course of her life. Before starting this book I had completely no idea what it’s about. I’m happy to say I really enjoyed it, especially that it touched on a subject I’m fascinated with. I absolutely loved the surrealism element and how it was injected with romanticism in the story. Though, I have to say it is a bit straightforward and somewhat predictable. I loved the characters in this book (even those who are a handful) and there were plenty of them. The story didn’t just focus on the main couple but also gave a glimpse of the lives of others and how Adele’s situation affected them. 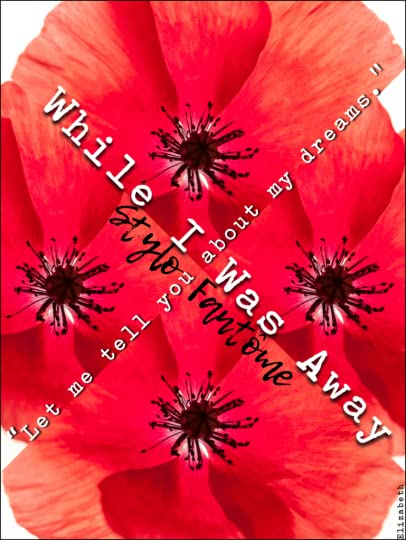 While I Was Away is a story of finding love from unexpected circumstances. 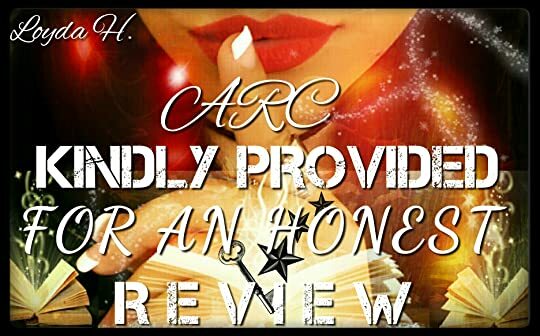 It would appeal to readers looking for a romance with a fantastical element. I love this author. She has a way of storytelling that I have loved from her very first book. She doesn’t always write the same genre, she is a chameleon in her writing. So with each and every release I am always thoroughly excited. This book is a beautiful idea. People in comas and what they hear and dream are all truths in my mind. To the extent is all subjective. Who is to say how much or how little one can hear and internalize? It’s very hard to review this story without spoiling. This is a love story, a story of fate and believing in soulmates. It’s a little unusual because of the dream sequences that involves Adele, Jones and her memories. They are complicated dreams/memories and they can be construed as fantasy or real, once again who is to say. While I love the idea, I just found it a little hard to feel the full instant connection. I loved Adele and her 3 brothers. Her being the only girl and the baby of the family added a sweet aspect to the story. And then Adele’s best friend Zoey sparkled with a fiery sass. There was another budding love story between Zoey and one of the brothers that I adored. I will say that this story is sweet, loving, and its very different. It’s infused with some humor, sadness, nostalgia, fantasy, and mostly a sense of believing in soulmates. I loved the possibility of the story and can fully buy into it, but I just think that the envelope may have been pushed a little too far for me. I did Love Love Love the epilogue and it brought the story full circle and it was perfect. Would I recommend this book, yes. But just with a caveat that it’s a little out there and one should have an open mind about finding love in the most unusual of ways. Adele Reins was in the middle of a life changing decision. She was needing a new start, something felt empty and she was found to find what she was missing. Life had other plans for Adele and what started as her possibly new beginning became an entire different thing she didn't see coming. I honestly went in blinded without any expectations of what this story was going to be about and I am glad because I found myself immerse in this story. There were so many emotions going through me and I didn't know what to do with myself with what I felt. This book was so fascinating to read. While I Was Away wasn’t your typical love romance which I found it refreshing. The story had me hooked from page one and wasn’t able to stop until I finished it. I loved seeing all the point of views of various characters. We had the main couple and a side story within the story which I thought was different and well written. Overall, I highly recommend this book to readers looking for something different and refreshing. Readers who enjoy stories with not so ordinary circumstance will find this story appealing. "You and I, we're something bigger. Something better." 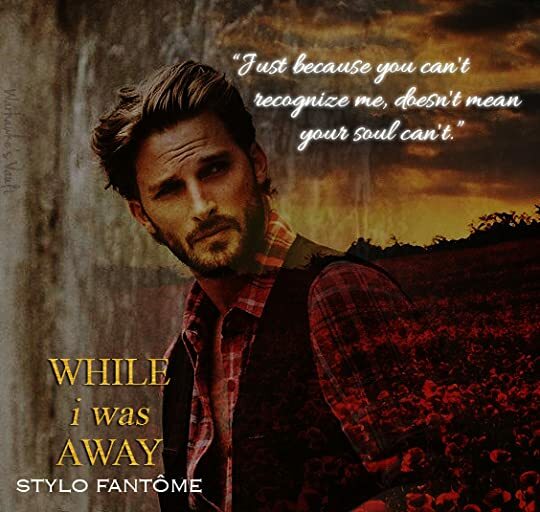 I can use any and all of those words to describe this newest addicting romance by Stylo Fantome. I picked up the book and never put it down. What a trip!!! If you like a different type of read, one that makes you think outside the normal spectrum of reality, this is the book for you. This book, for me, was seriously a one-off from my norm, but also one that has me excited to talk about. There were some neat understandings coming to light as I was reading it and I was seriously giddy while I was trying to explain it to someone! This was SO good!!! So neat! Stylo's writing is definitely a different style. More....eclectic of sorts. The existence that we count as our norm doesn't always come in her books, and while that makes her a sometimes scary pick for me, I have enjoyed more of her books than not. So this one, the journey was so different and so bizarre, yet so catchy and so intriguing. I want to discuss this one!!! The intricacies. The wonder. The love. All of it. I loved this book. I can say, the only issue I had was in the very beginning when we started this trip, er....I mean, this book because I was almost questioning the trope that this was. I was almost wondering if it was a women's fiction/science fiction type of read. But once I settled in, I seriously could not put it down. "What if this is a dream?" "Then I hope we don't wake up." And just remember: Here is Now. "Just because you can't recognize me, doesn't mean your soul can't." With a touch of surrealism, Stylo Fantome explores the thoughts of a comatose woman and the strange awakening she has. Adele Reins is departing from a party after making a major life decision when she and another are in a car crash. 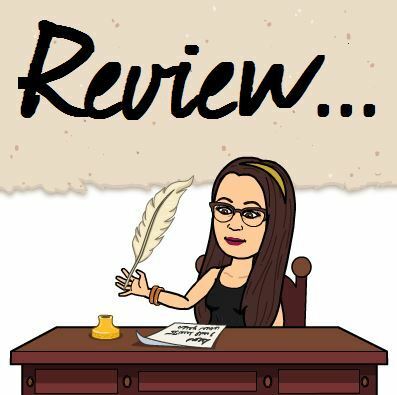 Life continues to go on, but Adele is trapped inside a world in her head filled with brilliantly colored poppies, ever changing scenery, and a man who leaves such an impact that it is he she thinks of her when she final Find this review and others at Carlene Inspired. 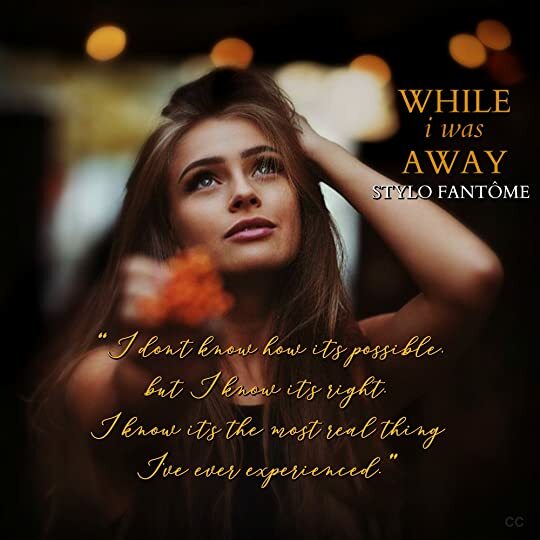 With a touch of surrealism, Stylo Fantome explores the thoughts of a comatose woman and the strange awakening she has. Adele Reins is departing from a party after making a major life decision when she and another are in a car crash. 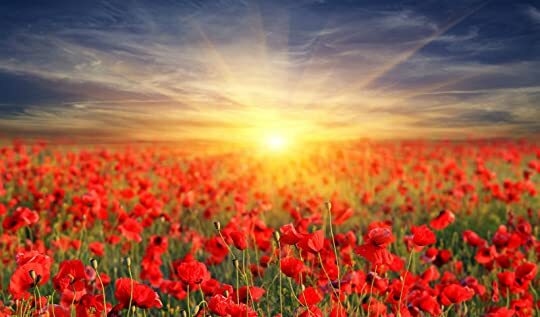 Life continues to go on, but Adele is trapped inside a world in her head filled with brilliantly colored poppies, ever changing scenery, and a man who leaves such an impact that it is he she thinks of her when she finally opens her eyes. While her family and friends have rallied around her, starting new lives in the city of Los Angeles, Adele can't move forward and forget the man. When she sees him again her soul calls for him, but he doesn't know the love she knows. I did enjoy some of the multiple POVs and I really appreciated that Stylo Fantome didn't focus only Adele and the impact her coma had on her just her, but on all the secondary characters. However a miss for me, and it seems like this might just be an "it's me, not you" complaint, was the addition of her brother's POV's, I really didn't enjoy them. It's almost like there might have been opportunity for other novels to come about the brothers, but ultimately it was combined into one. Their spacing comes across as a bit out of place and I did get them confused as their voices were very similar. I do think it took away from the overall story and it distracted me from the main romance. 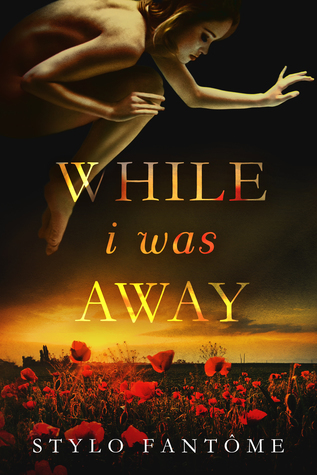 While I Was Away is a clever novel that kept me intrigued from start to finish. 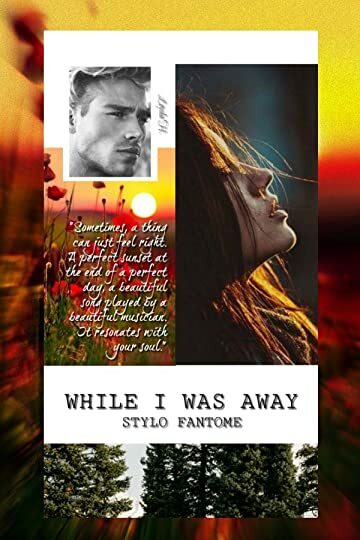 The premise itself was interesting enough for me, but Stylo Fantome takes this surreal idea and turns it into a contemporary romance that is impossible to put down. It's the sort of book you finish and you don't immediately pick up another, instead you sit in the feelings she leaves you with. 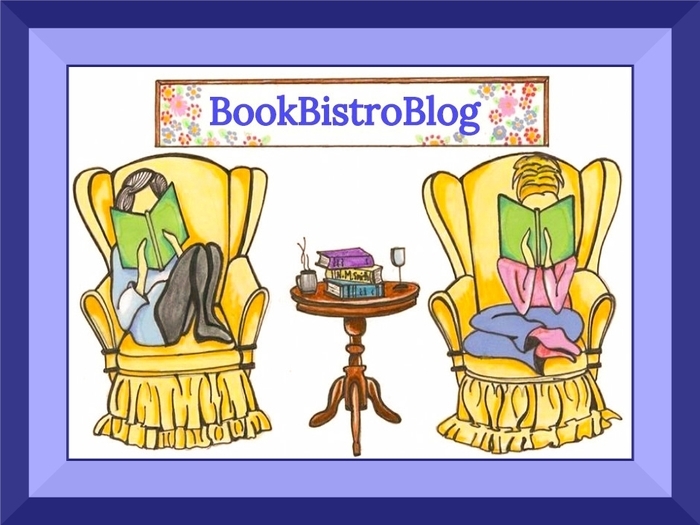 Romance readers looking for something different, particularly those with an interest in the fantastical, will enjoy While I Was Away. What happens to people when they are in a coma? They say that the person can often hear people talking to them but where do they really go? This thought is explored in this really interesting story from Stylo. Adele is the victim of a car accident one night and as a result, slips into a coma. She is the youngest child in her family and has three older brothers. While the family struggles to come to terms with what has happened we are treated to alternate chapters of them and what is going on for What happens to people when they are in a coma? They say that the person can often hear people talking to them but where do they really go? This thought is explored in this really interesting story from Stylo. Adele is the victim of a car accident one night and as a result, slips into a coma. She is the youngest child in her family and has three older brothers. While the family struggles to come to terms with what has happened we are treated to alternate chapters of them and what is going on for Adele as she lies there. You know how sometimes you can have the weirdest dreams where things and places morph into each other and you wake up wondering how on earth your mind even took you there? Adele lives this. She is in a coma, not dead but living in this alternate universe. This tragedy has brought everyone in her family back home. Her brothers are working through their own issues and feeling guilty for all the instances they have missed spending time with Adele. If anything, this has forced them to think about what they are doing with their lives. The fear of losing someone you love always make you more aware of your own mortality. Meanwhile, Adele is experiencing her own journey, visiting places she hasn’t been to before and meeting people she didn’t know in her ‘awake’ state. It’s all very confusing but also, at times, a nice place to be. In fact, sometimes she wonders if she ever will go back to her real life or will she live in this surreal, alternate existence forever? It seems that she has a choice to make and time is not her side. There is so much more to this story than what I have mentioned as I wanted to keep this as spoiler free as possible. This is a real unique story about soul mates and I suppose a bit of fate too. It was really refreshing to read something so different. I spent A LOT of time and emotions and thoughts on this book. Did you ever watch that cheesy movie "Simply Irresistible", the one with Sarah Michelle Gellar? It's not necessarily "good", but … it's also not bad HAHAHAHA In the movie, she's a chef, and also possibly-unknowingly a witch, who cooks her emotions into the dishes she creates (and along the way, she accidentally entices a young and HOT Sean Patrick Flanery! He alone makes it worth watching). And basically, I try to capture the same thing I spent A LOT of time and emotions and thoughts on this book. And basically, I try to capture the same thing with my books - I try to "cook" in my emotions. I try to infuse whatever it is I emote into my writing, and I think "While I Was Away" captures this perfectly. If you cry while reading certain parts, trust me, I was probably crying while writing that part. If while reading it, you think "I GET this! ", then trust me, I was getting it, too. If you ever think to yourself "wow, I never thought of that before! ", TRUST ME, I had the same confusion, too! My writing style was literally born of PNR - that genre is where I cut my teeth, going all the way back to the age of eight. I like fantasy, I like drama, I like the possibility of the unknown. And I think "While I Was Away" touches on my true roots. Well...stylo does the unthinkable and shows you HOW!!! Compelling and captivating, it's a story of a young girl- Adele Reins, who's in a coma after her horrible accident. She'd been feeling detached and dispassionate for a long time and the accident just happens at the wrong juncture of her life. Nothing, and yet ... she wanted more. It was like a piece of her had been missing for a long time, and she was just noticing. While in coma, her dreams come alive. how the dreams and reality spin like a coin in her sleeping brain is very fascinating. The beautiful revelation is what causes these dreams!! This book has two parallel stories running between two sets of couples. Adele is struggling with and against Johannes Lund and Zoey her best friend with one of her brothers. I shall stop right here, won't give you any more deets. One night, Adele Reins realizes she wants more out of life and love. After making a big decision, Adele is in a car accident and suffers a head trauma. While recovering, she has vivid experiences that weave into her memory creating a grey area of fantasy and reality. But when Adele realizes the connection, she has to convince others of the truth. Playing significant roles in this story are Adele’s three brothers, a best friend and a confidant known as Jones. All have unique personalities and each foster Adele’s healing in different ways. As Adele is trying to piece it all together, she remains dedicated to her dreams and what her heart conveys. What this story offers is a unique storyline into how the mind and body are linked, even during inexplicable times. With a theme is romantic in notion, the plot delves into the concept of how fate can bring people together. Adele is a strong character who is willing to fight for what she believes to be true no matter how others might perceive her intentions. While there are challenges these characters face, they all support each other and I liked the unity they shared. Ultimately, the connection Adele feels is heartwarming. 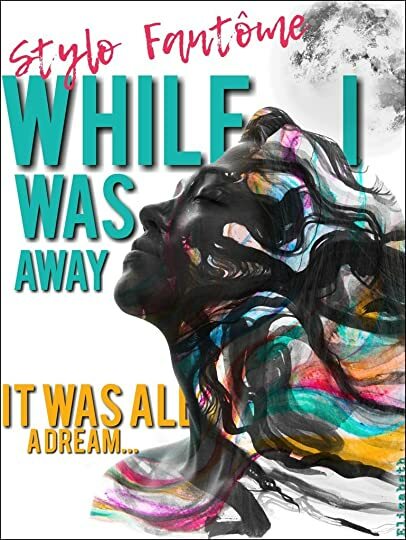 While I was Away is a romantic narrative combining fantastical symbolism with reality. This book will appeal to those seeking a romance with heart and soul. The only other books Ive read from this author we’re more on the darker side, this one was much lighter and ridiculously sweet. It is told from multiple POV’s and took some getting used to. Because of the different POV’s you get to experience the love not only in the romance of the story but between the friendships and family. This book is the perfect read on a rainy day, it also gave my overly romantic soul the much needed true love fix! I don’t think I have access to the words that would do this review just. I’m in utter AWE of the originality of this story. I’m STUNNED by the incredibly beautiful imagery of the sceneries and landscapes this story took me to. I’m BREATHLESS from the amount of emotion this story evoked in me. My heart soared at all the highs and was in free fall during all the lows...but one thing is for certain, my heart was in this story from the very beginning. And now that the story has ended, I feel like I left a part of me inside those pages. My chest aches with a combination of sadness and fulfillment. Fulfilling because the story spoke to my every dream of what love is and should be. Sad because in a real world, love isn’t always that beautiful. But we can only hope. And hope is what I take away from what I just read. Hope is what we all need to make ourselves, the people around us and even the world a better place. This BOOK made me FEEL good in so many ways. Adele is in the prime of her life but at a point where she knows/feels like something is missing. Life is stagnant. But it’s not until the accident that she enters another realm where colors are brighter, and magic feels normal and the greenest eyes speak to her soul. No ones knows everything the mind is capable of. And we can only speculate what is possible for those in a coma. But whose to say that in a state like that, magic isn’t possible? Because, in my opinion, a story like this is magical. The possibility is in the eyes of those who believe. Soulmates are real and those lucky enough to find their soulmate are blessed. And with a love as transcendent as what Adele finds; where she believes whole-heartedly, without doubt that the love she found is more real than anything in her life - that’s magical. The conviction, the passion and strength she used to fight for and hold on to this deep burning, brilliantly shining and never-ending love...it had me a believer. This review has been hidden because it contains spoilers. To view it, click here. Safe and sweet read. I didn't felt the connection between the Hero and the Heroine. There was too little couple time in this book for my taste. They're only "together together" for a couple days and then there's a skip to the epilogue 1 year later. I had the feeling that I was missing out on so many things about them and their lives together. And the epilogue was the grand finale of another couple. I was way more interested in Ocean and Zoey. I felt their connection and love despite only reading Safe and sweet read. I was way more interested in Ocean and Zoey. I felt their connection and love despite only reading a few pages about them. So I rooted for them and the Hero and Heroine took a backseat while reading. 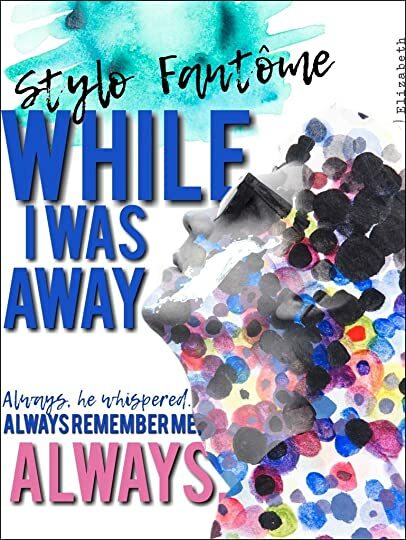 Stylo Fantome has certainly made a name with me in her ability to write stories that make you think while reading them. This one was no exception! Adele has been in a coma for 4 months, living the life. Celebrating and traveling all the things she loves. Her companion Jones certainly takes her to some fantastic places. It’s just the life she had always dreamed about living. Jones never answers the many questions that Adele is asking. It’s more of a riddle me this type answers. Even though the questions never really get answered, the two are inseparable. When the day comes that the leap of fate has to be made, will Adele ever find Jones again? Coming back to the real world, certainly her soul mate will be around somewhere easy for her to find. This was a very unusual book for me to read. I’ve often wondered people who are in coma’s do they have thoughts, dreams, or can they hear what is going on around them? This book takes you on a journey like no other book I’ve read before. There have been many book, TV, and Movie plots about people in coma’s walking around either in the hospital where nobody can hear or see them, or in a dream or alternate reality where they try to fix something in their life or fall in love. This was a new twist on that theme and it was done much better than I expected. It started just a bit slow, but once it grabbed me, it just kept getting better and better. I loved it. Rendered comatose from a car accident minutes after breaking up with her boyfriend, Adele draws the reader on a trippy journey. While many will probably find this a beautiful portion of the story, I need to be honest. After a few 'trips', I starting skipping it to get to what was happening in reality. Not because I'm not a fan of the fantasy, but because it was too... perfect. Truth be told, I missed the emotionally stunted train wrecks I'm used to reading- never thought I'd admit that, to be honest, always begging for a more mature take in books. Adele's brothers are perfectly flawed in a way that makes them interesting, as is her best friend. That's what I was missing, were the flaws. I was torn because I enjoyed Ocean's storyline more than Adele's, because it felt 'real'. Even after waking and finding Jones, it still had a fogginess of anti-reality cast over the story, which took away from my enjoyment. That is my issue in a nutshell, the perfect Adele, Charlie, and Jones got on my nerves, as the rest of the imperfect cast shined brightly, because I found them interesting. Even the predatory co-worker was shown as being good, heart in the right place, to make Charlie happy. The rest of it felt too quick, instantaneous in the emotions before they had time to develop, to an fantasy genre degree. Ocean's storyline overpowered Adele's with the realism, overshadowing what was to be the beauty of the story. I do feel bad for writing this review, as I warned it would be incoherent. I wanted to like it- I tried. I got what Fantome was attempting to create, and I'm sure it resonated with many readers, but for me, it missed the mark. Still I can not help myself but for the second time within one week I have the line “Alice in Wonderland” on the tip of my tongue - . And if this would be a movie there would be a Johnny Depp in the cast because this whole plot is an explosion of color. It is bizarre to say the least – and still it manages to be romantic. It is a rollercoaster of emotions and at the same time you think there have to be drugs involved in this story. While it really surprised me in a positive way - I felt I could not keep my focus on the leading characters and therefore I was not 100% into the emotional rollercoaster as I should have been. Stylo is one of those go-to authors for me, I've been loving her diversity with writing, recently. And I just couldn't wait to dive into her newest release, While I Was Away. For the most part, I was enjoying this read, but there were other things going on the took me out of the Adele and Jones story. Once I heard about this book, I was completely intrigued because it was definitely a plot that I've never read before. I thought it was a great introduction to authors and one that I hope more will take on and write about. Adele's story definitely got me thinking about people who are in a coma. Obviously I would personally never want to be in that situation, but color me intrigued about it all. As much as I wanted to, I couldn't feel the deep connection that resonated between Adele and Jones. I'm not exactly sure what it specifically was, but Adele falls in love with a man in her dreams during her coma. And to me, the pacing didn't seem all that rushed, we are jumping time a little bit, but not by much. I think I just need more development around the both of them to really connect with their relationship. I absolutely love diving into a new Stylo Fantôme without reading the blurb, I love the surprise. And what a surprise it was! Stylo once again explored a new thematic, in a stunning universe and a gripping story. The visual I had all along was vivid and truly dashing. The colors, the paintings, the scenery seemed to a be a part of the book, as much as the characters and their emotions. Tragic and yet so beautiful, Adele and Jones' connection, their epic love felt incredible. This is definitely a book that made me feel good. The energy, the positivity and magic surrounding the protagonists wrapped me in a bubble I would have loved staying in, just like them. Sweet moments swirled with heartbreaking scenes. "How do you keep going forward when there's nothing ahead of you?" The fantasy and the magic enhanced the poetry the author instilled in her book. The idea of destiny was amazingly handled, with ingenuity and great taste. This story will keep you guessing, It'll keep you on your toes (I didn't see one part coming) it may even make you cry. But I can guarantee it will make you happy. Adele, what a brave and endering woman. Very lucky to have such a great family, she was very much loved. JONES, JONES, JONES, JONES X 100. GOD DID I LOVE OCEAN, and his story...in a story - which I LOVED. 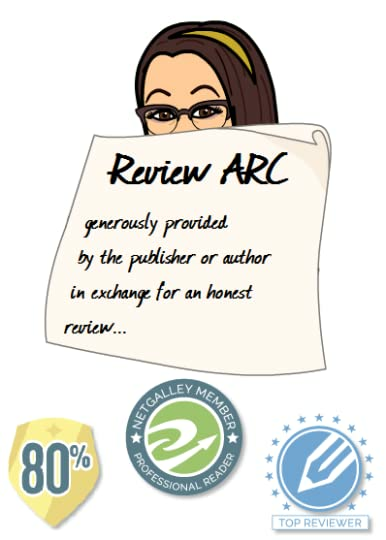 ARC provided by the author - thank you. 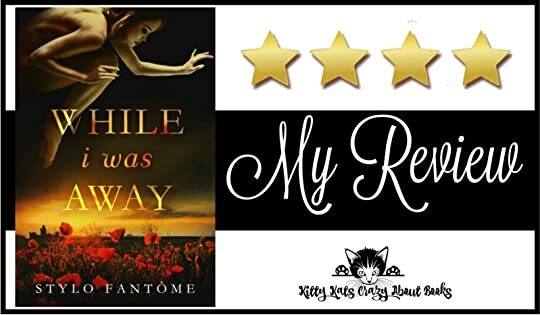 The characters are fabulously represented, and with several different storylines from Adele's loved ones, there ends up being more than just the one story happening in this all encompassing read. Well, there you go... I know it's vague, but if you like your romance written into a non-traditional, yet fascinating story, then this is a book you will not want to miss. Oohhh it’s been a while since I read one of this authors stories. I was so excited to read it and I definitely wasn’t disappointed. 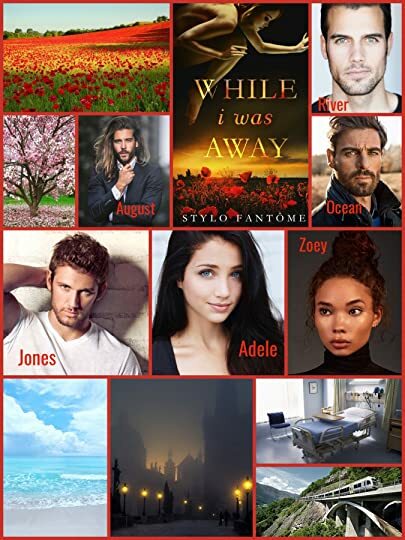 While I was Away is the story of Adele who’s in a coma. She takes us on a journey while she’s in a coma. Along with her story we get a secondary story which I also liked. There’s loads I could say about the storyline but I really do suggest you jump in blind and read it. This is truly a beautiful story that you need to read for yourself. I can’t wait to read more fr Oohhh it’s been a while since I read one of this authors stories. I was so excited to read it and I definitely wasn’t disappointed.